These faces are custom, some will be from the film, most will not. Remeber they are custom and yes I made them all. Anyway. 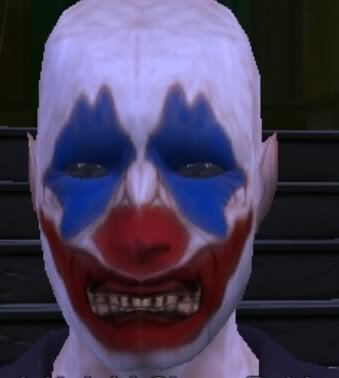 Here is Clown Robber 1. Some cool faces you got there werecool. Looking for more from ya! I thought they only had one style of clown mask on the movie..? Maybe I should watch it again, I did buy the 2-disc edition. have just made them as extra masks, not based on the movie.